Former Nigerian midfielder, Ajuma Ameh-Otache, is dead. The 33-year-old died on Saturday, November 10th 2018. 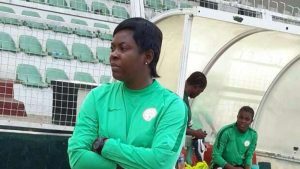 Her demise was confirmed in a tweet in the Nigeria Football Federation, NFF, official Twitter handle. The tweet reads, “We are sad to hear of the sudden passing of former Nigeria midfielder, African Women’s Championship winner, Olympian, Ajuma Otache who passed on Saturday. Ajuma Otache won the 2004 African Women’s Cup of Nations that same year. She also played for the Super Falcons at the 2003 All Africa Games in Abuja.